The Council of the European Union has given the green light to a bill proposing visa-free access for UK nationals to the Schengen Area, upon Brexit. After the Civil Liberties Committee of the European Parliament unanimously voted pro the exemption of UK nationals from the Schengen visa requirement, the EU ambassadors have also backed the proposal. According to a press release of the European Council, the ambassadors mandated the Council Presidency to start negotiations with the European Parliament on this legislative proposal. The Council also supported the condition of granting Britons with visa-free travel to EU countries, only if the United Kingdom grants nationals of the EU travelling to UK with visa-free access to Britain and Northern Ireland. “According to EU rules, visa exemption is granted on condition of reciprocity. The government of the United Kingdom has stated that it does not intend to require a visa from EU citizens travelling to the UK for short stays. In the event that the United Kingdom introduces a visa requirement for nationals of at least one member state in the future, the existing reciprocity mechanism would apply and the three institutions and the member states would commit to act without delay in applying the mechanism,” the press release highlights, regarding visa reciprocity. The visa-free travel will be available for UK nationals even in the case of a no-deal Brexit, which seems like the most possible scenario so far. The waiver does not grant Britons with the right of working in the EU. Upon March 29, the UK will automatically become a third-world country to the EU. 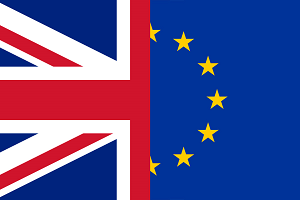 As such, upon the introduction of the European Travel Information and Authorization System on January 1, 2021, UK nationals will have to apply for an ETIAS prior to a trip to the Schengen Area.